No matter how contemporary its culture, advanced its technologies, or towering its skyscrapers, the soul of Japan is eternally rooted in the soil of nature and Spirit. Together we will experience the soul of Japan as it has grown out of its indigenous nature-based religion of Shinto and spiritual tradition of Zen Buddhism, from the sacred sites of Kyoto to the modern metropolis of Tokyo. 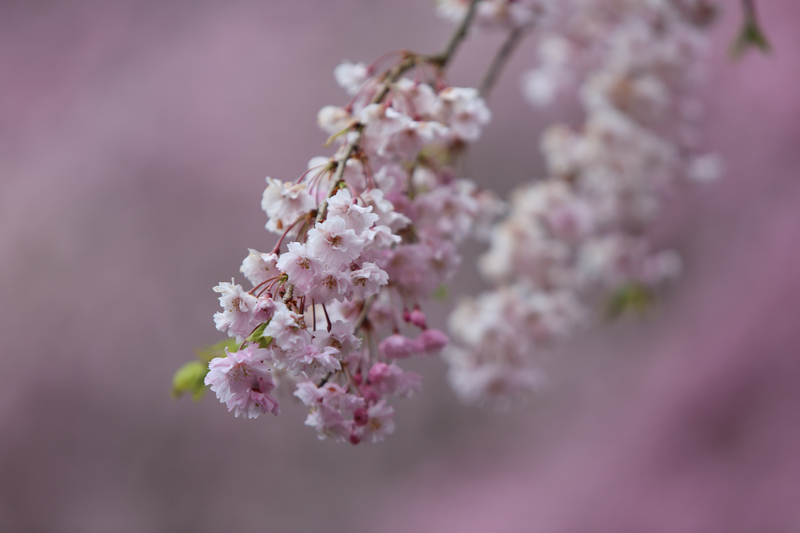 Everyday we will experience the Japanese reverence for nature and spirit — in its architecture, gardens, cuisine, religious sites, and especially, its arts. 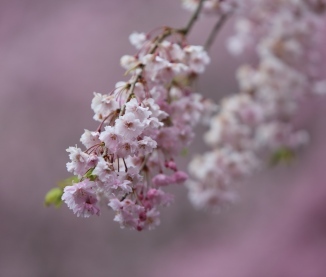 Japanese traditional arts — called do, or “the way” —bring nature and Zen Buddhism together in practices that cultivate spiritual contemplation through poetry, calligraphy, flower arranging, music and more. 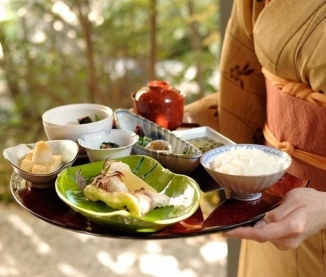 We will experience “the way” for ourselves in the ritualized Japanese tea ceremony and a private Noh theater workshop. We’ll see “the way” interpreted by cutting-edge artists at a contemporary Tokyo art gallery and by traditional artists in the artist colony of Kanazawa. We will learn “the way” as practiced by the Samurai, and receive a private instruction from a monk in a small Kyoto temple in the way of Zen meditation. Ours will be an intimate encounter with Japan. We will draw it close and take it in through all the senses. The majestic sight of Mt. Fuji from the bullet train as we traverse the country. The sound of Buddhist monks chanting at dawn. The fragrance of smoking cedar branches purifying us in a Buddhist Fire Ritual. 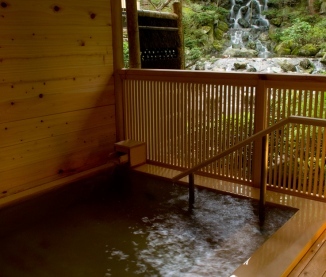 The sweet sensation of slipping into the hot mineral waters of a rural Onsen. 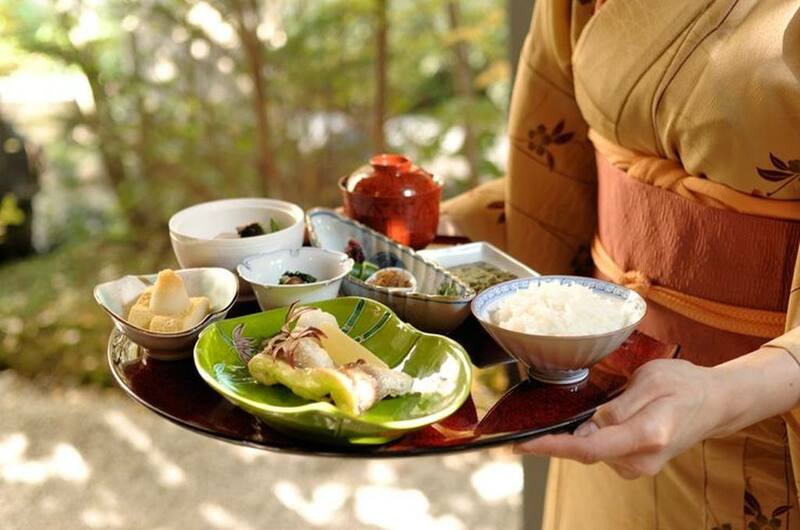 We will savor the world-renowned tastes of Japan, from dining on the elegant, haute cuisine of a formal kaiseki meal to crouching over a bowl of homemade noodles sitting at the counter alongside locals at a ramen house. Most of all, we will experience the soul of Japan through it people. Its artists and monks, geisha and salarymen, children and elders. Yoga and meditation will keep us grounded and open so that we may be present to all the depth this country and its people have to offer. More than sight seeing, this Inspiration Retreat will return us home having had a soul connection with the Land of the Rising Sun. A non-refundable deposit of $1000 is required to hold your space. Final Balance Policy: Final payment must be received b	... y March 1, 2018 in order to be eligible for the early bird pricing and all payments are non-refundable. Cancellation Policy: In the event of cancellation your entire payment will be refunded less the $1000 deposit if the cancellation is made before March 1, 2018. Payments are non-refundable after this date. Travel Insurance: We strongly recommend that you purchase travel insurance for your trip. There are many travel insurance companies to choose from but Travelex and World Nomads are two reputable organizations for worldwide travel coverage. Ann Dyer likes a wild body and a civilized mind. She seeks to reconnect her students with the innate pleasure of moving their body and the joy it brings. Her teaching, grounded in her solid beginnings in Iyengar Yoga and a degree in dance, draws on various forms of yoga and non-yogic movement traditions to inspire and free the body, heart, and mind. Renowned for her work in Sound Yoga, Ann often includes chant, breath work, and meditation in her classes for a complete, integrated practice. Ann teaches in Advanced Teacher Trainings and workshops nationally and internationally, has presented at numerous Yoga Journal Conferences, and is the Owner/Director of Mountain Yoga in Oakland. Ann has led yoga retreats internationally for over 17 years. Your retreat begins in Tokyo and ends in Osaka. For that reason, we suggest that you fly into Tokyo’s Narita International Airport (airport code: NRT), arriving on May 15th and depart out of Kansai International Airport (airport code: KIX) on May 24th. On the last day of our trip, we’ll travel from Kyoto to Osaka in time for afternoon flights. We suggest booking your departure from Osaka no earlier than 5pm. American citizens visiting Japan do not need a visa if they are traveling as a tourist with a valid U.S. passport. You will be issued a temporary tourist visa upon entry, which is valid for up to 90 days. IMPORTANT: If your passport expires within six months of your arrival date to Japan, please be sure to renew your passport before you go to avoid any issues at immigration. There are no exceptions. Yes airport transfers are included on the first day and final of your trip. No matter what time you arrive, you will be met your guide and driver outside of baggage claim after collecting your bags. Look for a sign that says your name or “International Yoga.” From the airport, you’ll head to Hotel Niwa Tokyo, located approximately 1.5 hours from the airport. Once everyone has arrived, we’ll come together for an opening gathering. How many people are expected on this retreat? Attendance varies from trip to trip, but 15-25 attendees is a general average. Gratuities are not included in the price of the trip. Generally speaking, tipping is not practiced in Japan. However in the tourism business, it is the custom to tip, especially the guides and the drivers (if you have a personal private driver - no tips for taxi drivers). While tipping is not obligatory it is greatly appreciated and we suggest around $10/person/day for tip to our guide and driver. All payments to International Yoga are non-refundable & non-transferable. The purchase of travel insurance is strongly recommended to ensure you are covered should any unexpected event arise. A personal, political, environmental or weather-related incident or pre-existing medical condition may prevent or interrupt your travels. These events are rare but do occur and underscore the importance of being covered by travel insurance. Should you elect to not purchase travel insurance, you will be assuming 100% of any costs incurred for trip cancellation or trip interruption. TravelEx and World Nomads are two reputable organizations. There is a broad spectrum of policies and options so make sure you are clear on what exactly is covered. 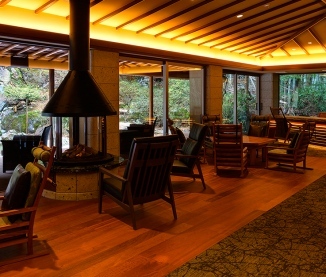 On this trip we stay in several wonderful properties, chosen either for their grandeur or location, many of which rank among Japan’s finest accommodations. In these hotels, all rooms have private baths. Single rooms are limited at all of our hotels. Please contact us at info@internationalyoga.com to discuss the accommodations in detail. There are no required vaccinations for travel to Japan. However, there are some recommended (suggested) vaccinations given by the CDC. To see the complete list of what is recommended, please visit the CDC Website and consult with your primary care physician to make a decision on what is best for you. We get hundreds of travelers each year who go on retreat alone. If you are traveling without a friend or partner, but prefer to share your room, we will do our best to match you with another traveler of the same gender. If for some reason, we are not able to match you with a roommate, a single supplement will apply. If you prefer to have your own private room, a single supplement will apply. Breakfasts are included through the duration of your trip in addition to 3 dinners and 1 lunch. All other meals should be included in your planned budget. What is the cancellation policy for this trip? All retreats include a $1000 non-refundable / non-transferable deposit, which is required to hold your spot on the trip. If you cancel prior to March 1, 2018 we will refund your payment minus the non-refundable deposit. All payments are non-refundable & non-transferable after March 1, 2018. International Yoga must strictly adhere to its cancellation policy to offset costs incurred prior to the commencement of retreat. Click here to view the Terms and Conditions to which you agree upon registration.